Stalk from the rooftops, slay from the streets of Paris, unite with your fellow assassins. Paris, 1789. 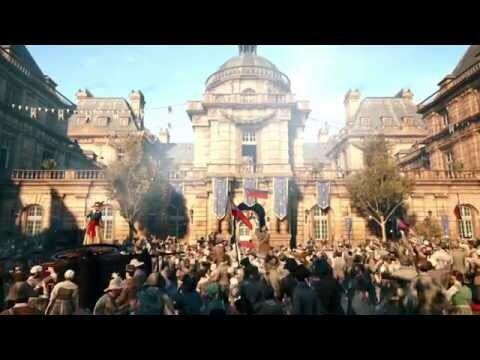 As the French Revolution spreads fear and panic through this once magnificent city, a young assassin named Arno sets out on an extraordinary journey to expose the true power behind the uprising. From the storming of the Bastille to the execution of King Louis XVI, join Arno on his quest to become a master assassin and to help the people of France to carve an entirely new destiny. Use incredible new weapons like the Phantom Blade to take down his prey – and intense free-running control to make his escape across the rooftops of a stunningly detailed city. Join up to three fellow assassins and work together online to pull off daring heists and missions in narrative-driven co-op storylines where you’ll have to work together – then vanish into the shadows as one. 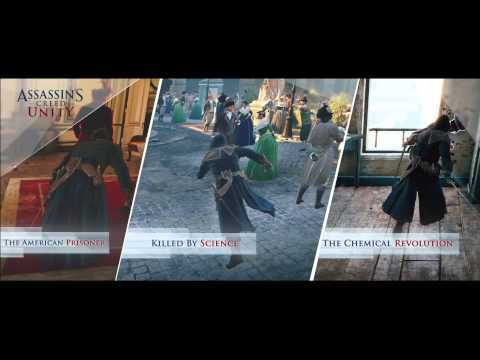 Assassin's Creed Unity | What's in the Season Pass? Spark a revolution alongside fellow PlayStation Plus assassins.